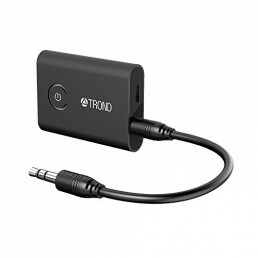 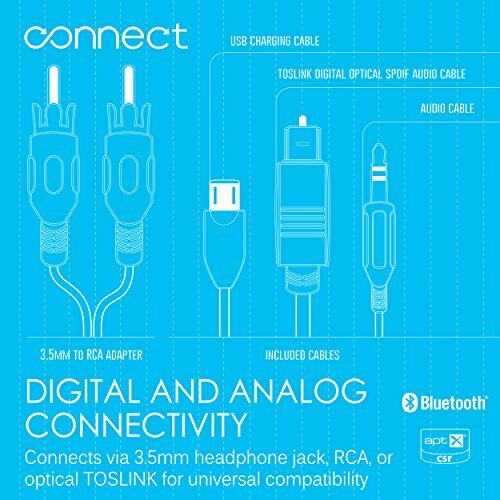 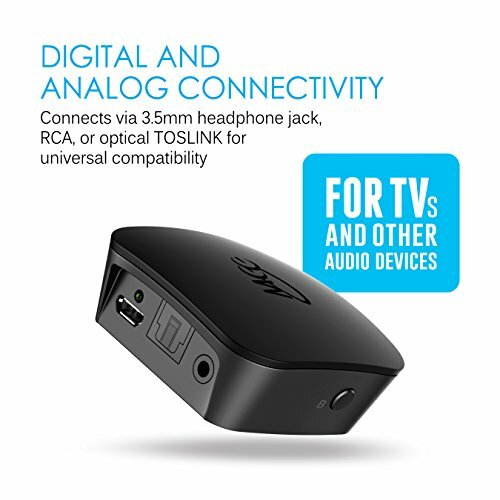 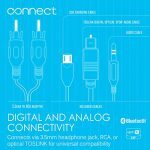 DIGITAL AND ANALOG CONNECTIVITY The Connect offers both analog and digital audio inputs for the widest compatibility with old and new TVs and other devices. 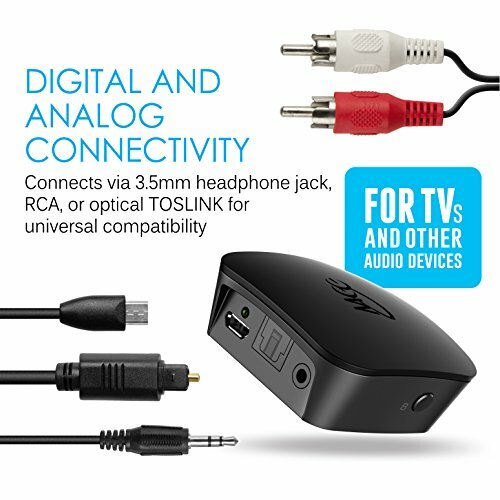 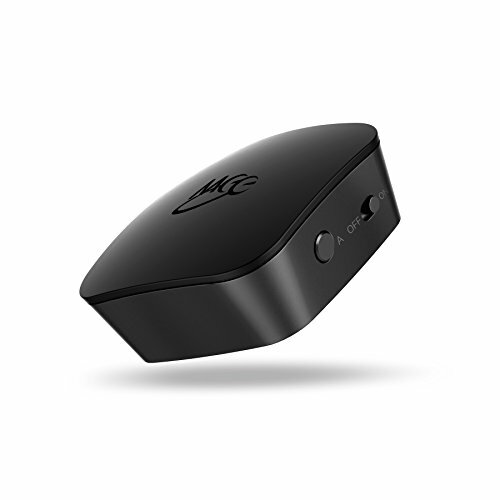 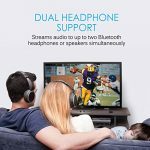 DUAL-HEADPHONE STREAMING Stream audio to up to two Bluetooth headphones or speakers simultaneously with independent volume adjustment. 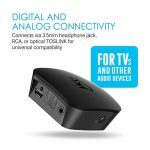 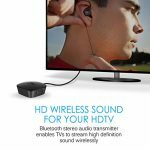 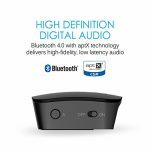 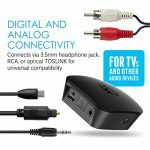 BLUETOOTH 4.0 TECHNOLOGY Bluetooth 4.0 delivers clear, distortion-free digital audio to Bluetooth headphones, speakers, and other receivers up to 30 feet away. 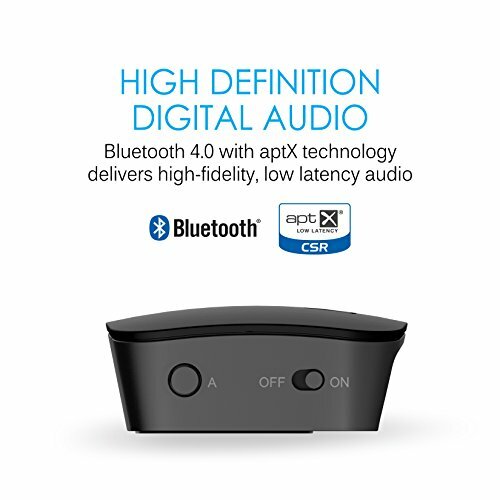 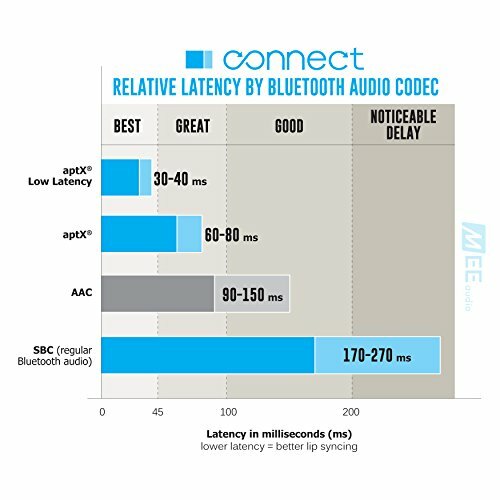 APTX SUPPORT FOR HIGH-FIDELITY, LOW LATENCY AUDIO The Connect supports the aptX and aptX Low Latency Bluetooth audio codecs for high-fidelity, low latency audio with aptX-enabled headphones. 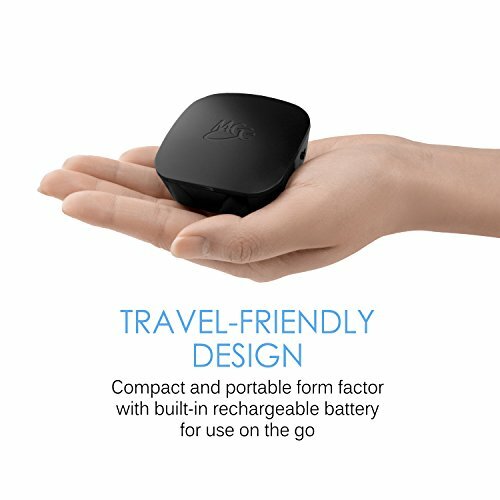 TRAVEL-FRIENDLY DESIGN Built-in rechargeable battery and compact form factor make the Connect the perfect go-anywhere companion to your Bluetooth headphones.